I couldn’t help but laugh out at my daughters horror as she pointed to the tiny blemish on her face. 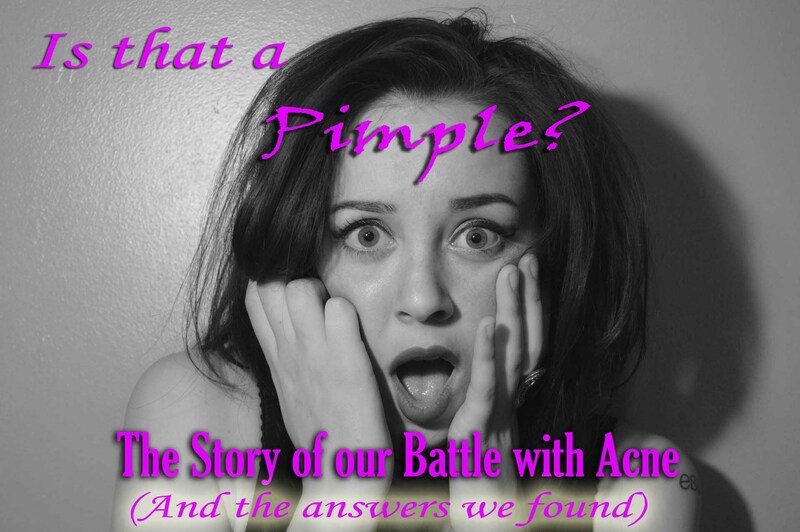 As a mom and long time acne sufferer myself, acne is a horror I am well acquainted with… but no longer afraid of. When I was my daughter‘s age (we will just forget how long ago THAT was) I too discovered the world of acne. My initiation did not start with one pimple…but with HUNDREDS. My parents purchased every acne cleanser under the sun. I tried everything from scrubby, sand laden gels to chemicals that burned holes in the towels I dried my face with. Despite the disappearance of my towels, my acne flourished. By my late teens, I was covered. My face scarred, my bra straps caused my back and shoulders to bleed through my shirts, and painful welts the size of a quarter littered my body. Time to see the dermatologist! More creams, cleaners, and antibiotics burned my skin, and finally an oral antibiotic wrecked havoc on my GI tract. Still the acne marched unfazed into my twenties. Prescription Antibiotics for Acne Wrecked Havoc on my GI tract. There are several contributors to acne. Hormones, oil production, bacteria, environmental toxins and even diet can affect acne. Everyone knows puberty is overloaded with hormone changes. Times of stress also create an excess of hormones. Did you know these hormones and androgens actually eliminate through the skin? Their method of escape? You guessed it…cystic breakouts (aka pimples)! While there are other causes, this is the one that is to blame for many of those teen year woes. Stress, exercise, and hormones can cause increased oil gland production making our faces produce that not-so-coveted shine. This extra sheen on the skin causes the dead skin cells to stick, along with anything else that might happen to be on your skin. As a result, our faces become a feeding ground for bacteria and infection. The bacteria set up shop and our skin responds with the dreaded pimple. The normal American diet is riddled with trash. Preservatives, chemicals, trans fats, sugars, hormones, and hormone disrupters are just a few things the body has to filter. Everything you eat must be broken down by the GI tract. Studies show that junk food can quickly and radically change your gut microbes for the worse. When your GI tract isn’t functioning well with proper gut flora, it starts to digest, absorb, and filter poorly. Toxins not filtered by the gut enter the bloodstream where the liver filters them. Even the liver can become overloaded, however. When the liver gets over burdened with toxins, the body calls in the last line of defense – skin and sweat. This means all that trash ends up released in your pores causing…you guessed it…pimples! It’s not just what you eat either. Your skin takes just 26 seconds to absorb chemicals into you bloodstream. Have you ever read the ingredient panel on your body lotion or soap? If you can’t pronounce it, your body is probably going to have a hard time eliminating it! Did you know most deodorants contain a plethora of neurotoxins? Worse yet, antiperspirants prevent your body from being able to use its number one toxic waste dump–sweat under the arms! This can cause even more complications for an already overloaded system. The air around you can be full of pollutants. These pollutants are in constant contact with your skin and can be a major contributor to the development of acne. In fact the air inside our homes can be up to five times more polluted than the air outside! Volatile Organic Compounds or VOCs are released by everything from the paint on our walls to the chemical treatments on fabrics and sofas. As a result, VOCs can cause free radical damage to cells leading to an increase in dead skin cells that lead to acne. Phthalates are another major toxic component that impacts acne in a completely different way. Phthalates are powerful hormone disrupters. They hide out in almost all fragrances in the US. Everything from candles, to shampoo if it smells good and isn’t natural, odds are it’s releasing phthalates into the air around you. Phthalates mess up your hormones leading to things like estrogen dominance, lack of progesterone, and more. When your hormones are not balanced, the body needs to eliminate the excess somehow. You guessed it…Hello more pimples! By the way, check out our new line of phthalate-free Wood Wick Candles if you want help eliminating these chemicals while still keeping the ambiance of candles in your home. Another major player is one that seems so innocuous; the laundry. Laundry detergent, fabric softeners and dryer sheets contain up to 25 volatile compounds that release into the air in our homes. Studies show it takes more than ten washes without laundry soap to eliminate chemical residues left on your clothes by the laundry products. Many of these products contain phthalate laced fragrances and other toxic substances. This means your skin is in constant contact with a myriad of toxins on your clothes. Each of them potentially a major contributor to skin damage, toxin overload, and hormone disruption that cause acne. Check out our blog about Goat Milk Laundry Soap for more on this topic. It’s important to note that even people who eat well can still struggle with digestive related acne. Food allergies to even good foods can cause inflammation of the GI tract. An inflamed GI tract can’t sort through waste materials efficiently. This can cause backups that result in acne. Even in my late twenties, I still over produced oil. It was then that I learned all those oil stripping cleansers can actually contribute to oily skin problems. It sounds crazy but it’s true! When you consistently use cleansers that strip the oils off your skin, the skin senses the loss of its natural oil barrier and scrambles to replace it. Your oil glands jump into hyper drive and before you know it, your skin is pumping out more oil than an oil rig. The problem you set out to fix actually gets worse. By my late twenties I finally gave up on all the conventional treatments. It was time to start seeking my own answers. First, I eliminated the junk switching to natural deodorant, chemical free laundry soaps, a diet low in processed foods, and a custom soap. I started working on a soap to balance clean and moisture but without the chemicals. I found it in Earth and Sky goat milk soap. The number one ingredient in all of our soaps is goat milk. Goat Milk is packed with vitamins and minerals, along with fatty acids that nourish your skin. Goat milk will help balance your skin’s pH, as well as moisturize and hydrate it. This helps my overall oil production to shift out of hyper–drive. Goat milk also contains an Alpha Hydroxy Acid called Lactic Acid that is a natural exfoliant. This is important because dead skin cells create a virtual feast for acne causing bacteria. Goat milk also contains a very unique protein shown to be an effective antibacterial! The base oils of the soap are a group of oils all shown to have some efficacy against acne. Also, the fact that they are clean and all natural mean no toxins for my body to eliminate. Several studies agree that Tea Tree essential Oil is an effective treatment for acne. For example, one study found that Tea Tree oil was six times more effective than the placebo. Tea Tree oil contains powerful antibacterial, antiviral, and antifungal properties making it a front line defense against acne causing microbes. It is also anti-inflammatory which helps reduce the puffy redness associated with break outs. Lemongrass essential oil is a topical analgesic (pain killer). Lemongrass is also an astringent which helps remove excess dirt and bacteria from your pores. Plus, the tea tree and lemongrass essential oils help to clean the oils off my skin without stripping it. There are also studies that show tea tree oil to be effective against pimple brewing bacteria. Nettle is an herb I used in my first custom acne bar Earth & Sky. Nettle contains antioxidants to help protect skin from damage and accelerate healing. This helps reduce the appearance of scars and blemishes. Activated Charcoal is one of the worlds most powerful detox substances. I will never forget working in an animal clinic where we used activated charcoal to save lives on a daily basis. Chasing whatever toxin the animal ingested with a charcoal solution bound the toxins to the charcoal and allowed them to pass without harming the animal. Activated charcoal on skin works like a magnet pulling oil, bacteria, and toxins out of the pores. It locks these culprits in so they can be easily washed away. We added activated charcoal to our Clean Zit Goat Milk Soap. Within a few months of using my new soap I noticed a significant difference in my acne. My back and face cleared up for the first time in almost 20 years. No longer “just a soap”…I found a life saver. My kids and others with acne have also had success with our Clean Zit and Earth & Sky bars. The bottom line? Acne is a beast with a multi–faced set of causes and the solution won’t be the same for everyone. Cutting out toxins, eating clean, drinking lots of water, and balancing hormones are all lifestyle changes that can help your body in its fight against acne. Utilizing the natural benefits of goat milk, herbs, charcoal and essential oils just might be the kick you need to leave acne behind. Disclaimer: This article is intended to be informational and biographical in content and is not intended to be used as medical advice. All medical decisions should be made using the advice of your medical professional. 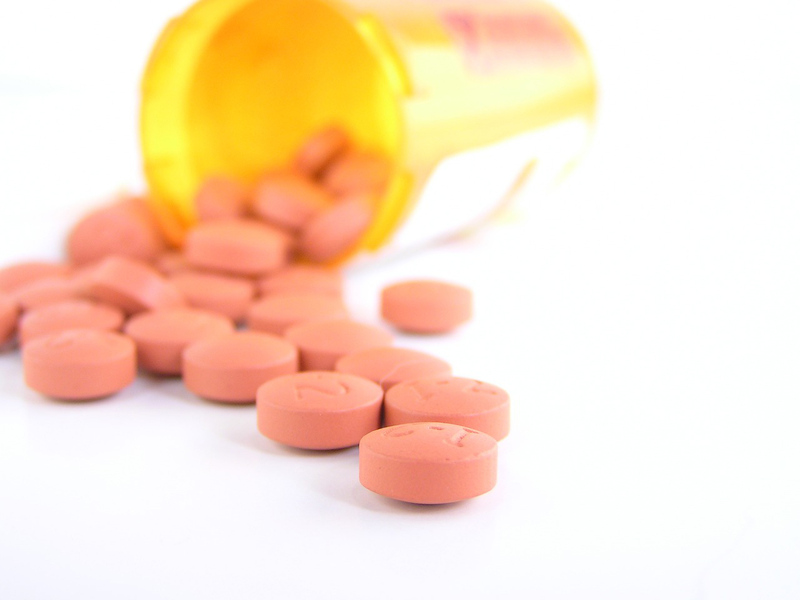 The FDA has not reviewed or approved statements regarding the efficacy of any listed products or ingredients to diagnose, treat, or cure any disease or medical conditions. When I was growing up I had acne really bad and now I’m 37 years old and I still have trouble and I have tried and everything that is supposed to be for acne and nothing helps when I can I’m going to buy a set of everything that you have that’s homemade as I’ve got a little older I don’t have acne like I used to but husband is busting what he can see which I can’t see them like he can but I do need to buy something that is going to help and stop waisting my money. Thanks for sharing these recommendations. I started having breakouts when I was 10 years old and it’s just during my late teenage years that I started using skin care products to treat it. Now, all that’s left is acne scars and I can’t seem to find the best natural home remedy to treat it. Hi Aika, I’m glad you found the information useful. Scars are something I haven’t found the “magic” cure for yet. 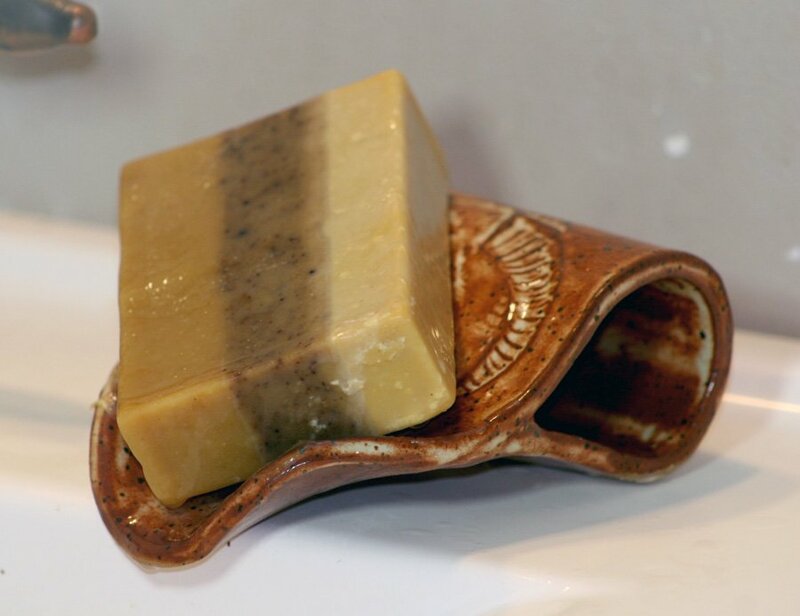 I can tell you that in the years since switching to goat milk soap and using Fix It Salve the scars have lightened considerably but many of them are still there. If you do happen to find the silver bullet for scars let me know! I would love to hear what worked for you! Thanks for sharing your story. My son is having this same problems. Now I know how to batlle it. Hello Bethany! Thank you so much for sharing this wonderful soap as well as for sharing the Fix It Salve that lightened your scars. I will check where I can order this online and see if it will work on me (cross fingers!) as I do break out every month (I think 2 weeks before period comes then will leave some scars). What I do now is that I exercise regularly (5 times a week) and try my best to eat healthier food.